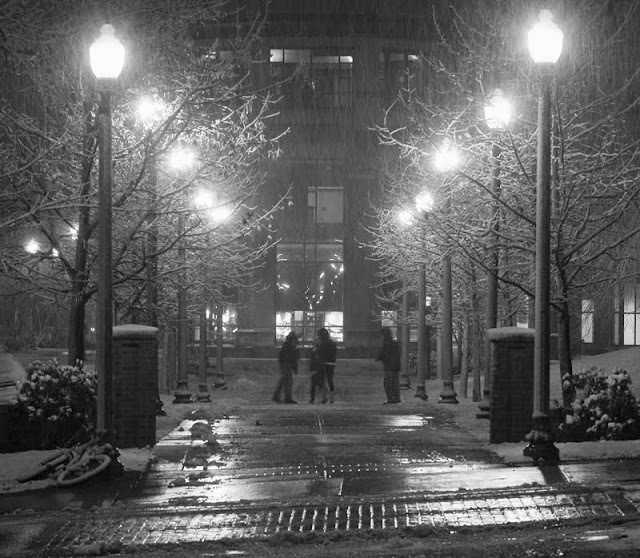 There was a snowstorm during finals week, and here some students are goofing around in it. It was a great scene, but I'm not sure that I captured it that well. Overall the picture may be too light.